Disclaimer: The reviewer has been compensated in the form of a Best Buy gift card and/or received the product/service at a reduced price or for free. All opinions are 100% my own. One thing my family can agree on is the importance of a good home theater. Whether we’re watching the big game, playing video games, or family movie night, a nice home theater makes the whole experience better. And the 77″ Class LG OLED TV is a showstopper. The 77’’ class LG OLED C8 TV allows you to engage yourself into your favorite TV shows, movies, sports, and more like you’ve never done before, for an unparalleled experience in 4K. Enjoy a premium cinematic, home theater experience with this big screen LG OLED TV. Allows you to truly immerse yourself into movies, TV shows, sports, and more for an unmatched experience in 4K. The larger screen provides you with a gorgeous Ultra HD level picture quality. Can you imagine watching the big game or Game of Thrones on it? The LG OLED TV meets Artificial Intelligence. 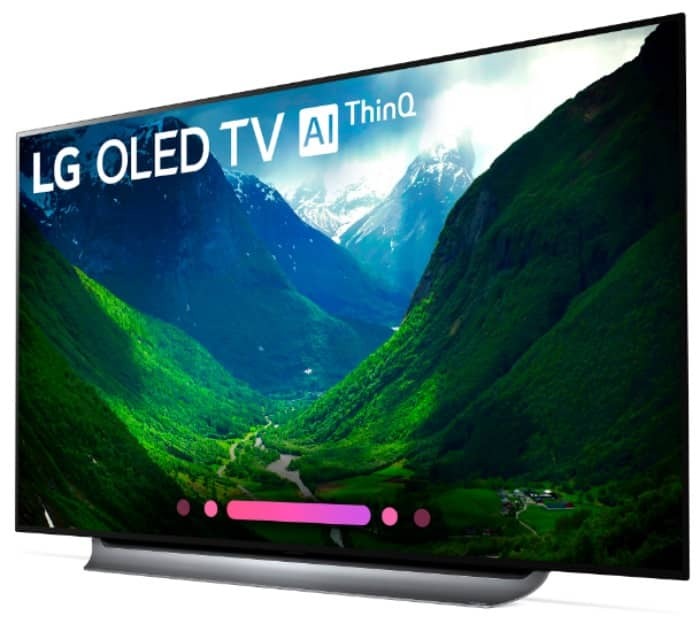 LG TVs with AI ThinQ® has Google Assistant built in so you can control compatible smart home devices using just your voice, creating a central hub for your smart home theater. And it works with Amazon Alexa devices, as well. Who needs a remote control when you can control the TV with your voice. Easily control volume, change channels, change picture settings (from movie mode to game mode, etc.). This smart TV allows you to launch apps like Netflix, Hulu, and more, too. DISCLAIMER: Service limited to certain languages. Some features require a 3rd party service subscription. Google Home and Amazon Alexa devices sold separately. You get stunning color set against perfect black. Each of the 8.3 million individually lit pixels of the LG OLED TV with AI ThinQ can brighten, dim or power off completely. This allows the TV to achieve perfect black and displaying a level of picture detail impossible with any other television technology. 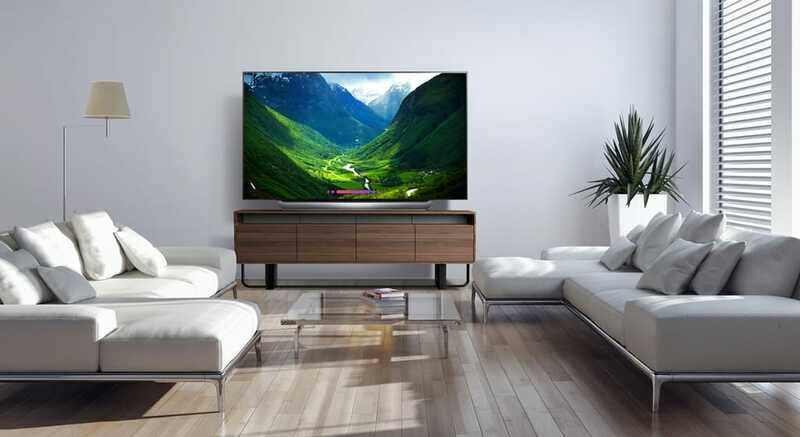 The perfect black canvas and expanded color gamut of the LG OLED TV with AI ThinQ helps to intensify its vast palette to match that level of color vibrancy, recreating a cinematic experience that was intended by filmmakers. The LG has the most powerful processor, the α9 (Alpha9), which provides superior picture quality. This award-winning processor provides true-to-life images with incredibly rich colors, sharpness, and depth to deliver the ultimate picture quality that seems lifelike and real. The LG OLED TV with AI ThinQ® complements any home decor elevating a room’s aesthetics. 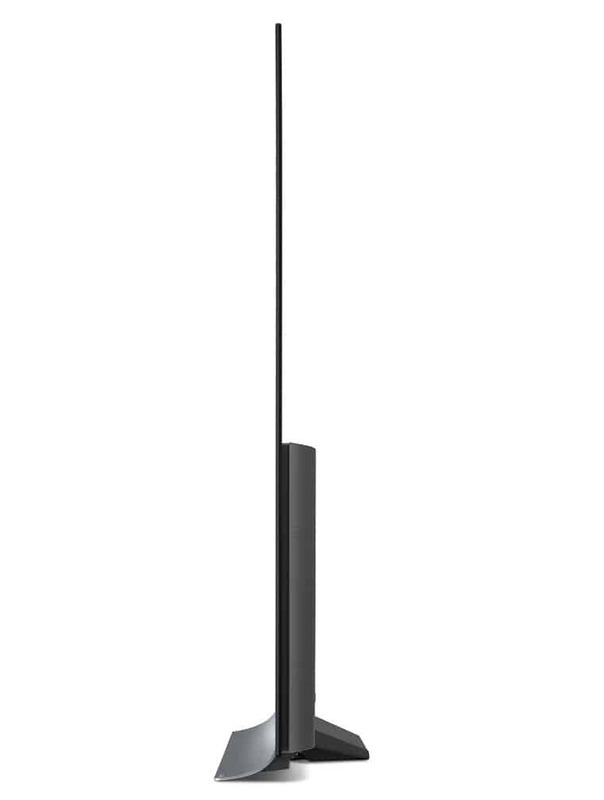 It’s unobtrusive with its sleek design wall-mounting or tabletop placement and will add beauty to your home theater. You get cinematic sound at Home with Dolby Atmos®. Dolby Atmos provides a realistic sound experience that will make you feel like you are inside the story unfolding on the screen. Whether its crickets chirping, birds singing, explosions, or a monster roaring from behind, you will hear the sounds from overhead and all around you… a truly immersive experience. 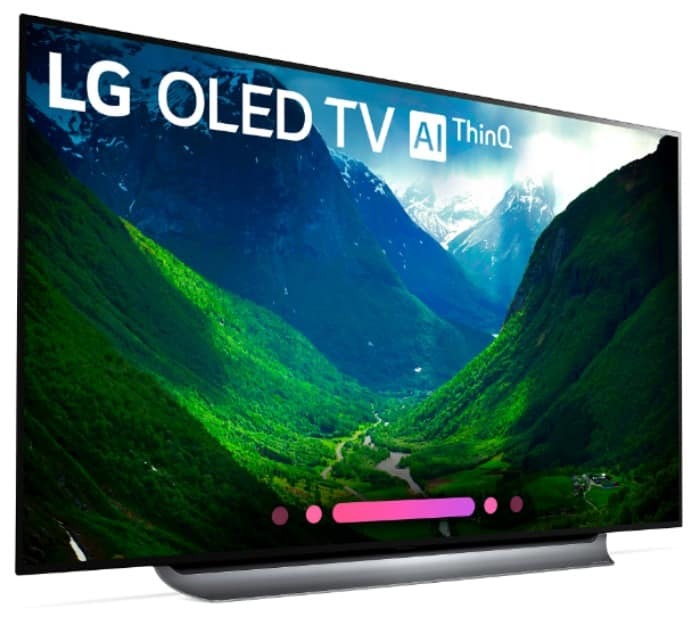 The LG OLED TV with AI ThinQ® features comprehensive support of major high dynamic range formats including Dolby Vision™ HDR from the cinema, as well as HDR10 and HLG, both with LG’s advanced tone-mapping technology that provides scene-by-scene optimization. What this means is brightness, contrast, and color performance is optimized to display scenes the way they should be shown. DISCLAIMER: *Dolby Vision is a trademark of Dolby Laboratories. Did you know that all OLED TVs come from LG? In fact, all existing OLED TVs come from LG. 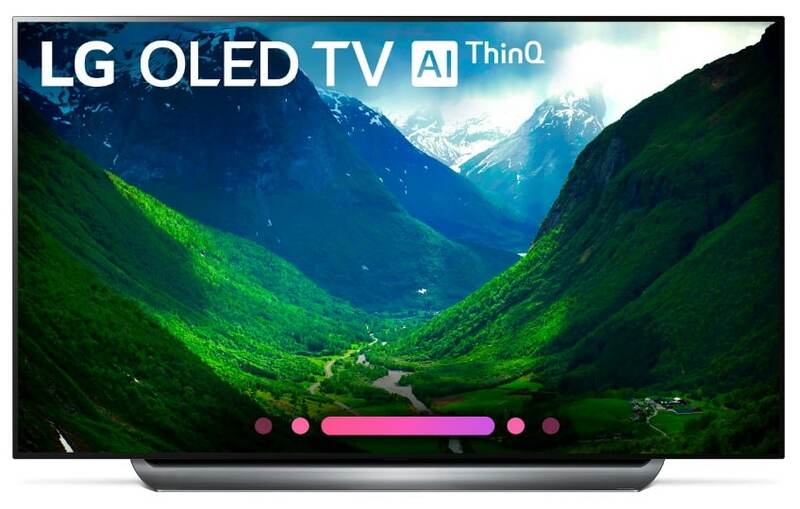 The world’s number one OLED TV with AI ThinQ uses the latest panels, with brighter, self-illuminating pixels that truly deliver superb picture quality. And you can trust this because LG OLED TV is the leader in this category. DISCLAIMER: *LG OLED TV has been the world’s best-selling OLED brand since 2013. Based on IHS Markit, Technology Group, TV Sets Market Tracker, Q4 2017. Ranking is not an endorsement of LG. Any reliance on these results is at the third party’s own risk. Visit technology.ihs.com for more details. All OLED TVs use panels manufactured by an LG affiliate.